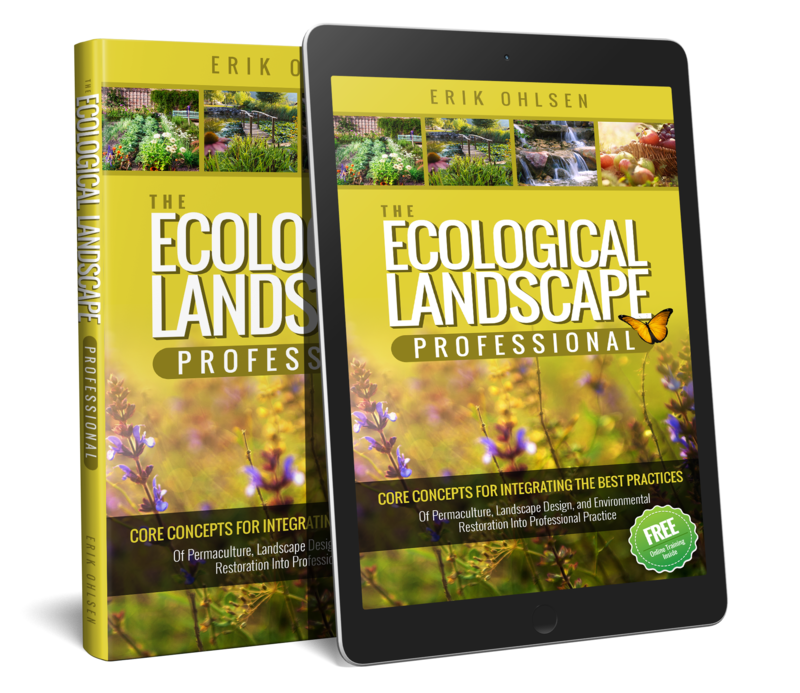 The Ecological Landscape Professional, outlines best practices for ecological landscape design, landscape fertility plans, ecological planting strategies, water harvesting systems, project management, professional design processes, and how to build a regenerative career developing your own ecological landscape business. An ecological landscaping approach can provide implementable solutions to many of the environmental challenges, and community issues that we face globally. Integrating the principles of permaculture with the practices of professional landscape design provides a powerful strategy to restore the planet and create a regenerative economy simultaneously. A global movement has already taken root throughout the landscape industry and standards are transforming away from old practices which pollute and destroy ecosystems towards methodologies which repair the environment. What does your life would be like when your job is spent designing and implementing regenerative landscapes, farms, and restoration projects? Imagine a career where you grow food, catch and store water, repair watersheds, build wildlife habitat, sequester carbon, build healthy soil, and transform your community. Restoring our world can’t be a weekend hobby any longer as we so desperately need to scale regeneration. That’s what this book is all about. It’s here to inspire you, to educate you, and empower you to gain the techniques and strategies necessary to have a beneficial and ecological impact on your community. The best practices inside this guide will give you the tools you can use to create a livelihood regenerating the planet. It’s a toolkit to change your life and the world around you.